General Motors Company’s (GM) vision statement and mission statement address the strategic direction needs of the automotive business. However, there are opportunities to improve these corporate statements. General Motors’ vision statement indicates what the business aims to achieve in the future. For example, the corporate vision statement specifies a relative market or industry position for the company. On the other hand, General Motors’ mission statement determines the actions needed to reach the corporate vision. For example, the company’s corporate mission statement establishes the approaches needed to push the organization toward its desired future position in the automotive industry. As one of the largest firms in the global automobile market, General Motors’ corporate vision statement and corporate mission statement must agree with each other. Such agreement facilitates decision-making and problem-solving processes in the business. Also, adjustments in the corporate mission and vision are needed to support General Motors’ flexibility in dealing with changes in market conditions worldwide. General Motors Company’s generic strategy and intensive growth strategies are based on the details of the corporate vision and mission. This relation highlights the significance of corporate ideals embodied and communicated through the company’s mission and vision. A corporate vision statement that points to industry leadership guides General Motors’ managerial decisions. Such leadership is significant and realistic, considering that the company remains a major player in the automotive industry. In relation, a corporate mission statement that indicates a holistic approach influences General Motors’ efforts to address customers and other stakeholders in the business. These stakeholders have a reciprocal relationship with the business. Such efforts determine the stakeholder prioritization in General Motors’ corporate social responsibility strategy. General Motors Company specifies its operations at the international level. The first component of the vision statement guides the company’s strategies toward reaching the top position in the global automotive industry. Keeping such position is challenging because of tough competition with other large automobile manufacturers. The second feature of General Motors’ corporate vision statement shows that value is the basis of leadership that the company aims to achieve. The definition of such value is not specified in the corporate vision, posing a challenge to decision makers in using different variables for determining value. For example, financial performance, perceived product value, and other factors are possible determinants of the value of General Motors. The first component of the mission statement requires that General Motors must work toward gaining loyal customers. For example, the company’s strategies must implement measures that develop a loyal customer base through factors like product quality, brand image, and others. The second feature of General Motors’ corporate mission statement gives a general direction on how to earn customers for life. For instance, the company must inspire passion and loyalty through its brands. Furthermore, technological breakthroughs are a way of fulfilling such inspiration, as shown in the third component of General Motors’ mission statement. However, the corporate mission also points to the importance of serving and improving communities. This fourth component is associated with organizational activities that address the interests of stakeholders of GM’s automotive business. Details included in General Motors’ mission statement satisfy conventions for developing corporate mission statements. For example, the company’s corporate mission shows details on business approaches or strategic actions. 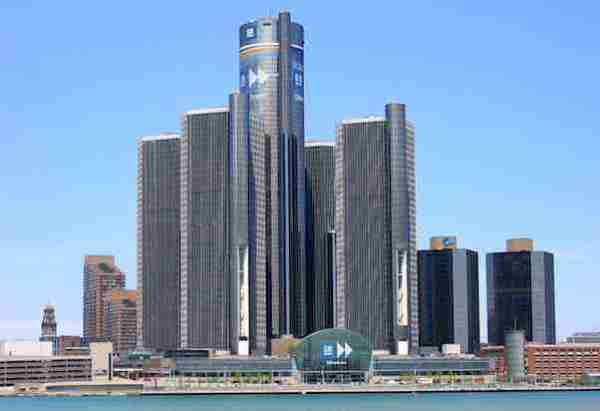 These approaches or actions are expected to enable General Motors to reach its goals. Thus, the mission statement is satisfactory and ideal for the automobile manufacturing business. General Motors’ vision statement is simple and focused on achieving leadership. However, it does not satisfy conventions for developing corporate vision statements. Ideally, a company’s vision statement must contain enough information on a certain desired future state of the business. In this regard, some changes are needed to improve General Motors’ corporate vision statement. A recommendation is to add details on what value means in the context of GM and the automotive industry. For example, the vision statement could include more information about the factors or variables that can be used to establish or determine the value of the company. These variables or factors could include financial performance, brand image, corporate image, process efficiency, and rate of innovation, among others. This recommended change could minimize confusion in interpreting and implementing General Motors’ vision statement.